When Smudge was born at a bear bile-harvesting farm in Nanning, China, it would only be a matter of time before the farm staff gets to him. The farm kept bears referred to as bile bears or battery bears. They are kept in captivity so that their bile can be harvested, often using extraction methods that are brutal and painful. The harvested bile is sold and used as an ingredient in traditional Chinese medicine and household products. 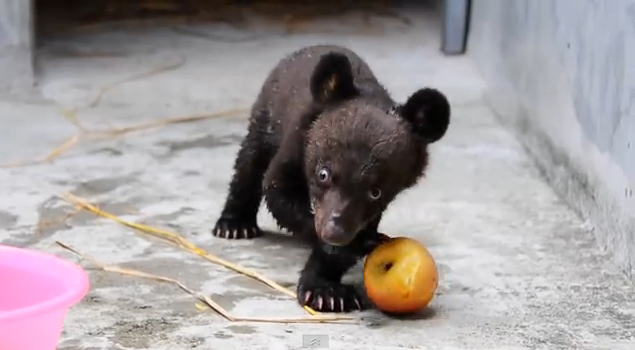 Fortunately for baby bear Smudge, a few months after he was born, the farm was taken over by Animals Asia, an international non-government organization that's devoted to "ending the barbaric practice of bear bile farming and improving the welfare of animals in China and Vietnam." Smudge's future turned from bleak to bright. There are several people to thank for the positive change in Smudge's fate. Utmost is the farmer who owned the farm. After breeding bears and extracting their bile for years, he had a change of heart. He decided to allow Animals Asia to take over the care and custody of the bears. This was after he was convinced by his daughter about the cruelty of the trade. Animals Asia is now leasing the farm and the facilities and they've turned it into a bear sanctuary instead of a bear bile-harvesting farm. 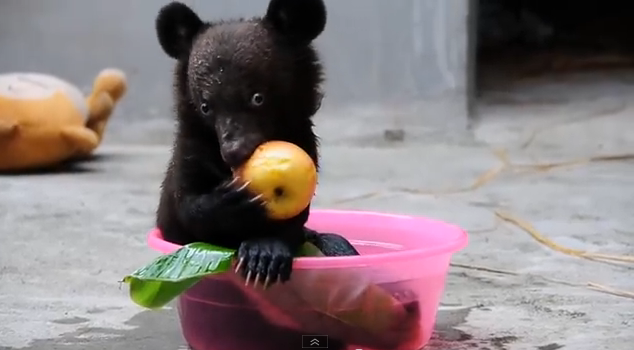 Animals Asia now have over 130 bears to take care of. Because of the size and scale of the rescue, the organization is going to need all the help it can muster. That's why it launched the Peace by Piece campaign to seek support for the rehabilitation of the bears. Learn more on how you can donate to the cause here. Here's Smudge having the time of his life. Out of his cage. Free. And hopefully will soon be able to be released to the wild.